Please wait while the webpage loads! 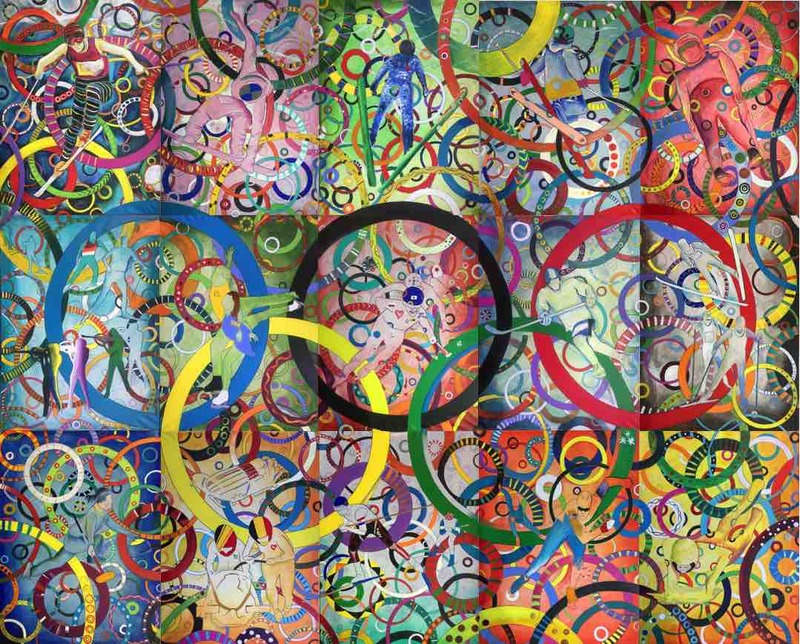 111 Olympians created this painting! 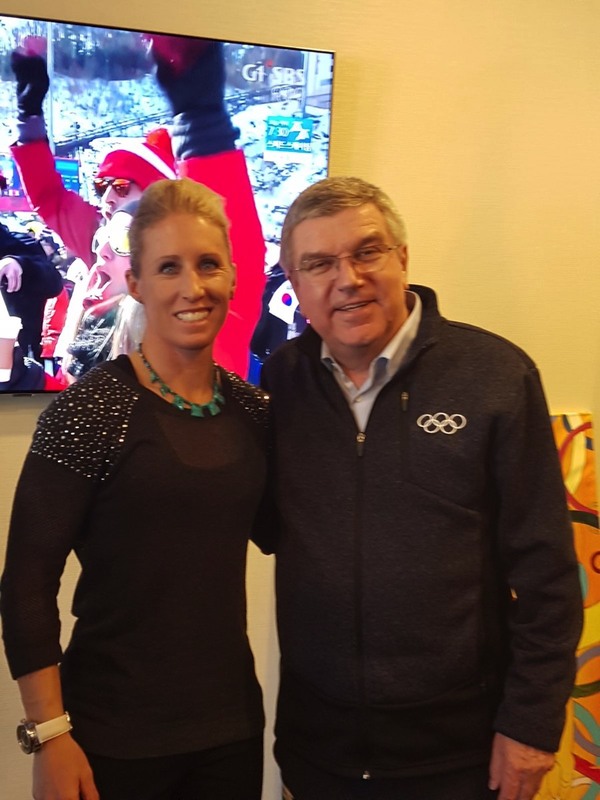 International Olympic Committee (IOC) President Thomas Bach participated. 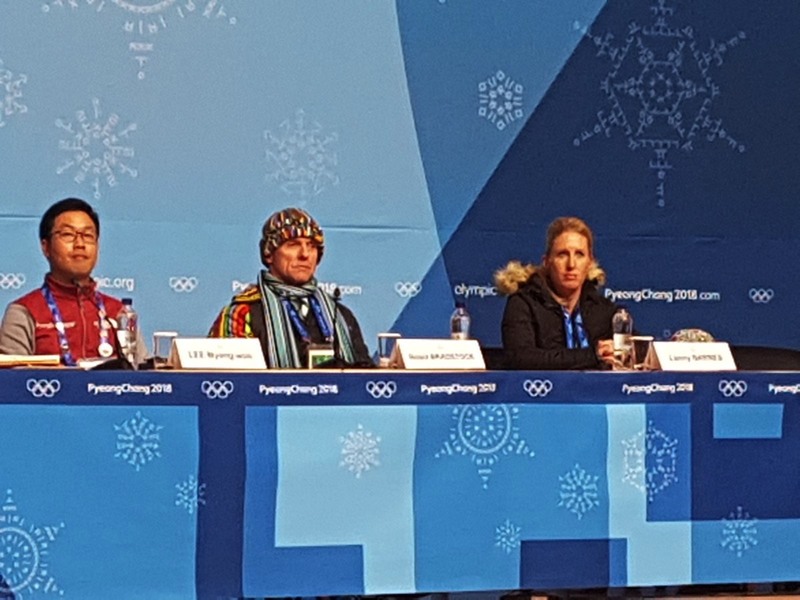 World Olympians Association (WOA) President Joel Bouzou participated. HSH Prince Albert II of Monaco participated. Alexandrea and Diane de Navacelle de Coubertin participated. 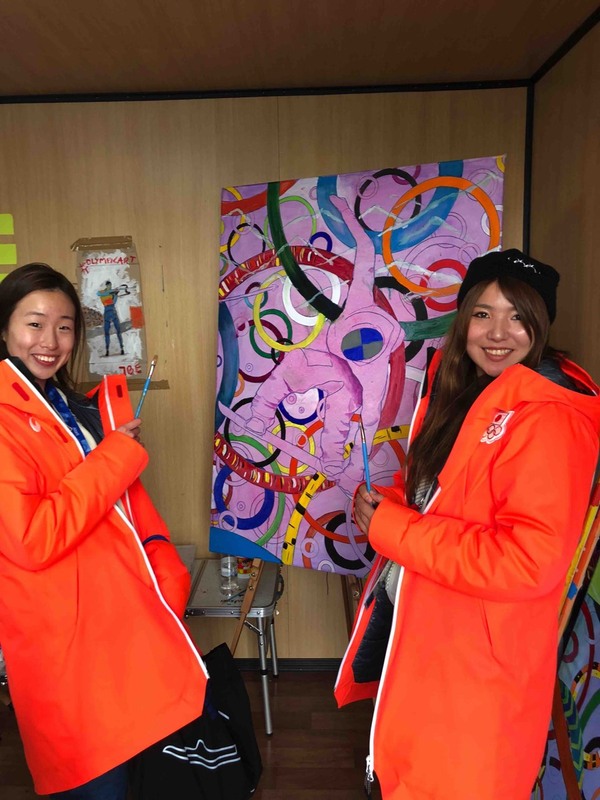 Japanese Olympic Snowboarders adding some paint to the canvas! 4 different countries painting at once, Latvia, Denmark, Estonia, & Canada! 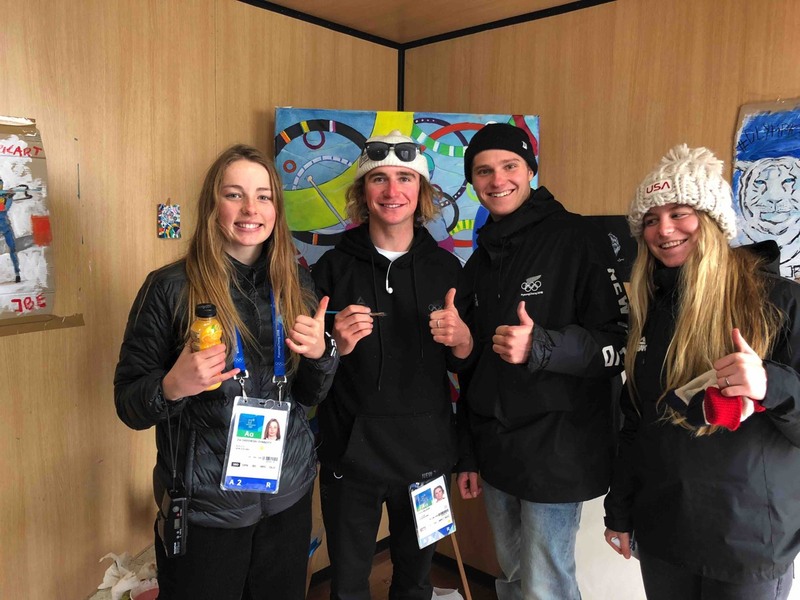 USA & New Zealand Snowboard and Ski Cross athletes having a great time in the art studio! 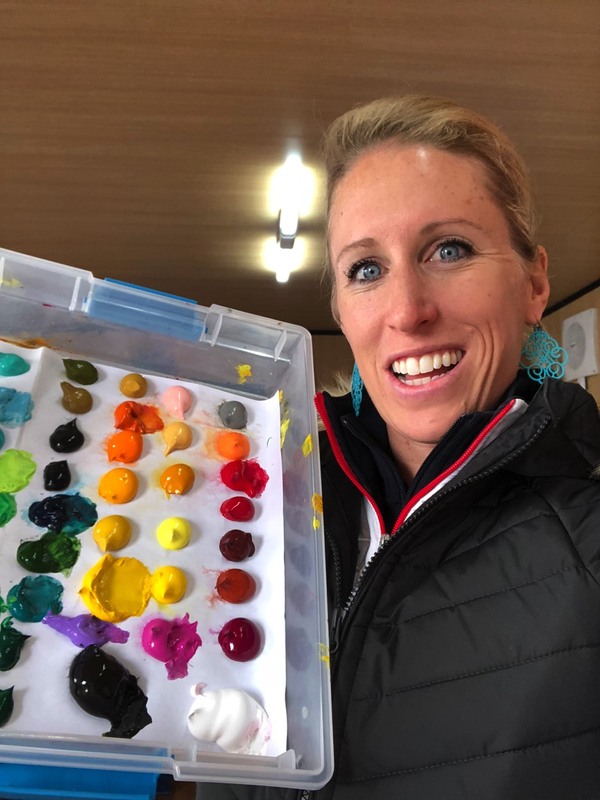 Olympic Athlete from Russia adding to the Long Track Speed Skater painting! Getting outside to oversee the painting on a sunny day during the Olympics! 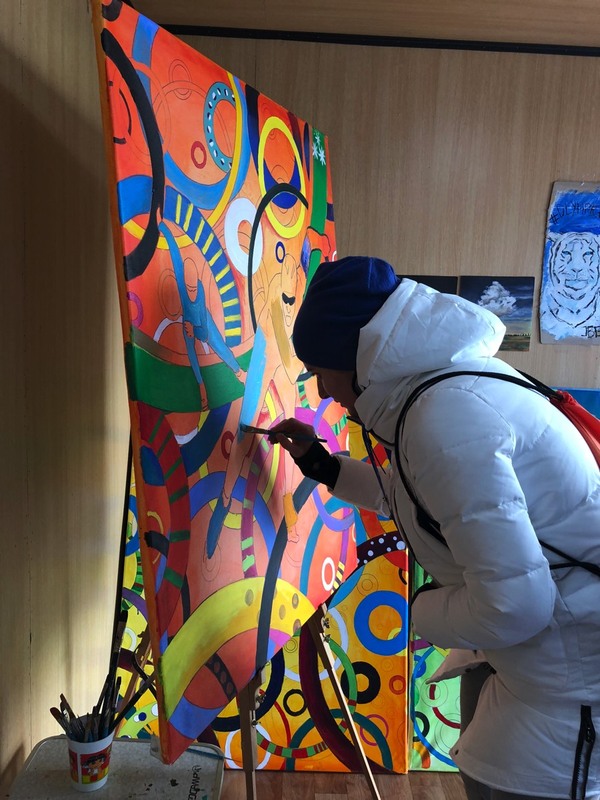 The Olympic Art Project was a huge success at the 2018 Olympic Winter Games and we are looking towards the future to add even more projects and ideas on how to incorporate art and promote art through Olympic Values at the games and beyond. 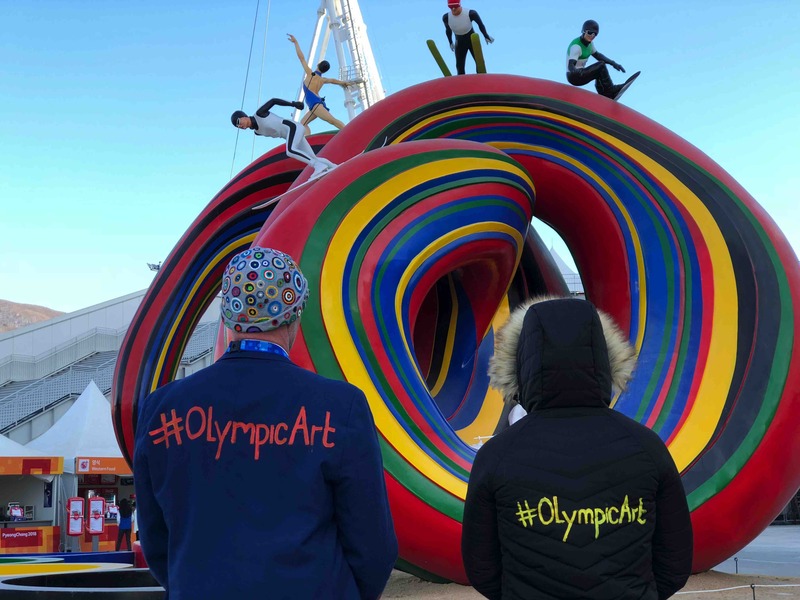 The Olympic Art project is designed to bridge that gap between art and sport. 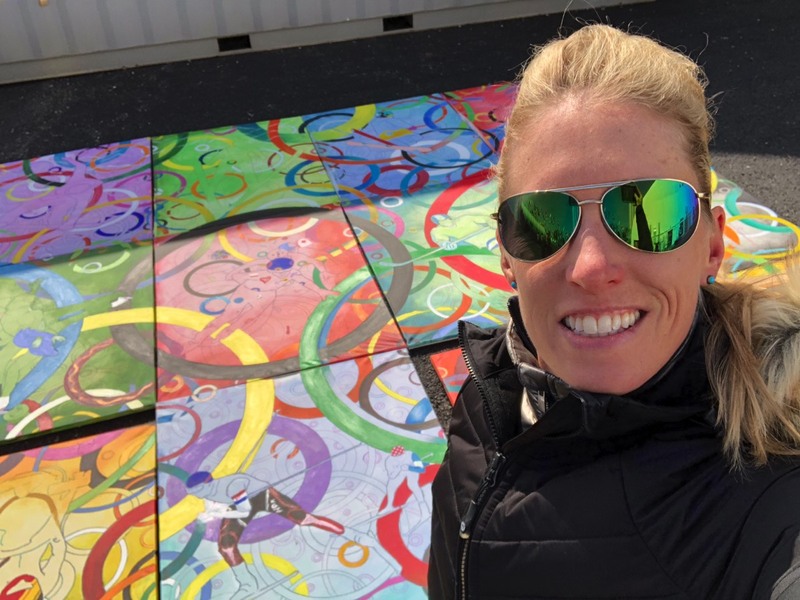 It is a project for Olympians, by Olympians and with Roald Bradstock's vision (Olympian, Javelin) and the huge support of the International Olympic Committee (IOC) and the World Olympians Association (WOA), The Olympic Art Project conceived for the first time by time. It makes the first time that the IOC brought in Olympians who are artist (I was chosen as one of 3 in the world for this project). There is always a huge art and cultural aspect to every olympics especially with the start and finish being so artistic in the Opening and Closing Ceremonies and the Olympics even awarding medals to artist between 1912 and 1948, but the International Olympic Committee is starting to bring art back in a way that will help promote art through Olympic values and show that connection between Olympians as athletes and Olympians as artist and the connections such as discipline and focus that you can take away from both. I am part of a 3 person team which included Road Bradstock (Olympian in Javelin for Great Britain also head Artist in Residence) and Jean-Blaise Evequoz (Olympian Fencing for Switzerland). 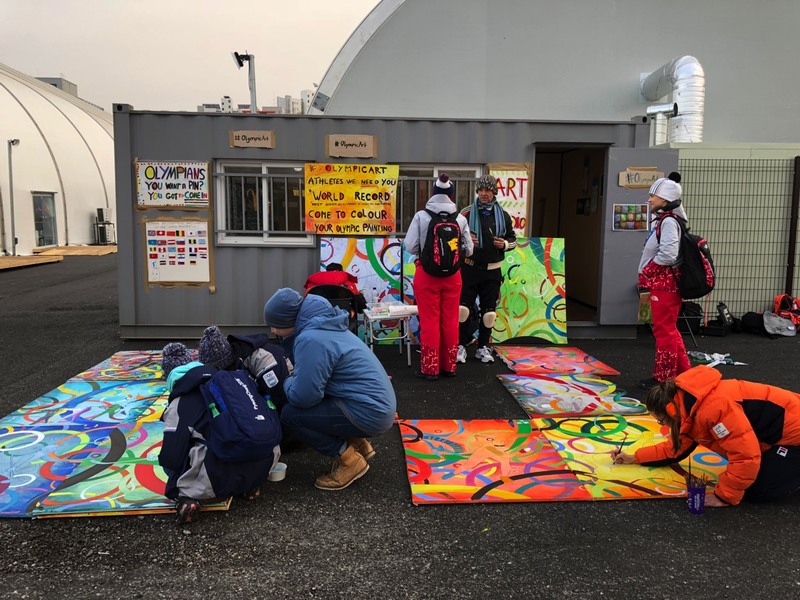 We were located inside the Costal Olympic Village that gave Olympic athletes the opportunity to help us complete 15 painting (one for each sport) that came together at the end to form the Olympic rings (see photo above). Separately they are each a piece of art, but when combined they create a much bigger picture. 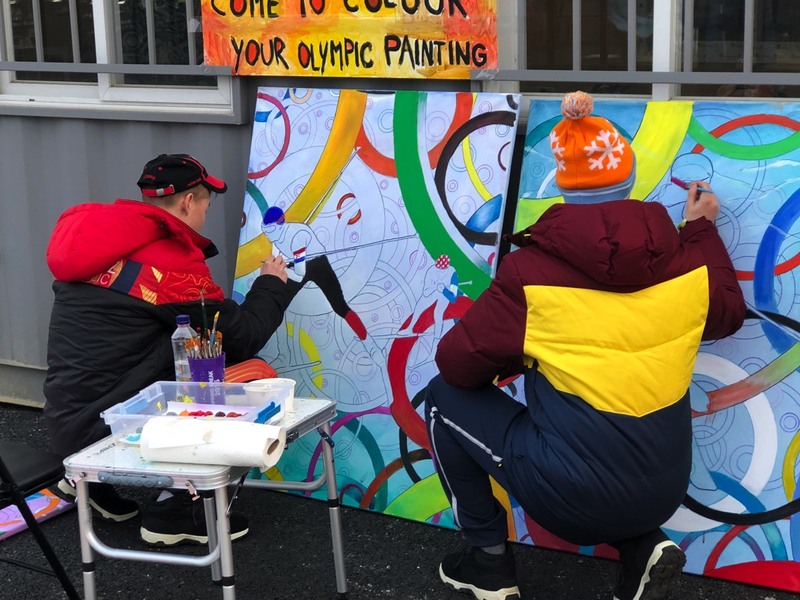 The idea was formed by head artist in residence Roald Bradstock an Olympic Javelin athlete, also known as the Olympic Piccasso, and head of the new formed World Olympians Association Art and Culture division (as of the 2018 Olympic Games). 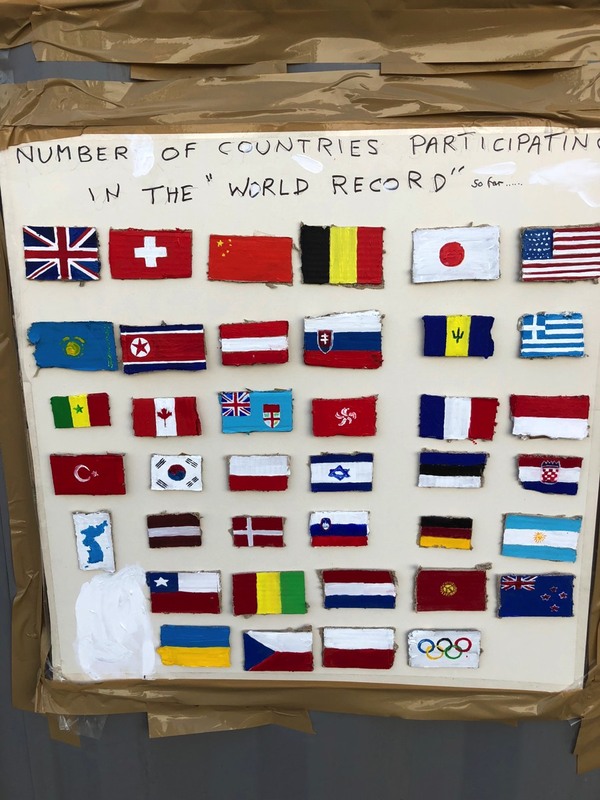 We set a world record for the most # of Olympians to complete a painting and all of the painting will go to the Olympic museum in Switzerland after the games to be displayed. Many of the competing athletes taking part are artists, but many are not. 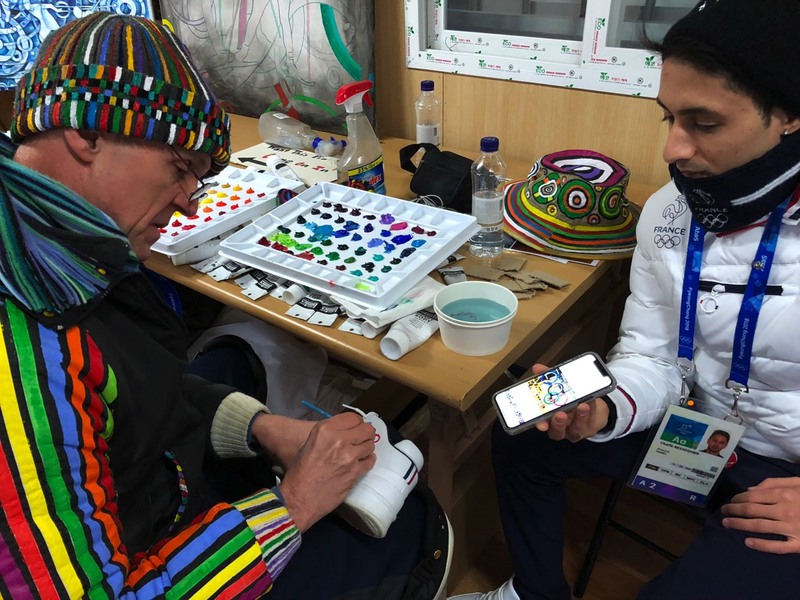 Our goal is to give the athletes an outlet outside of their competitions to express themselves through art with their fellow Olympians as well as share the Olympic values of Friendship, Respect, Excellence. 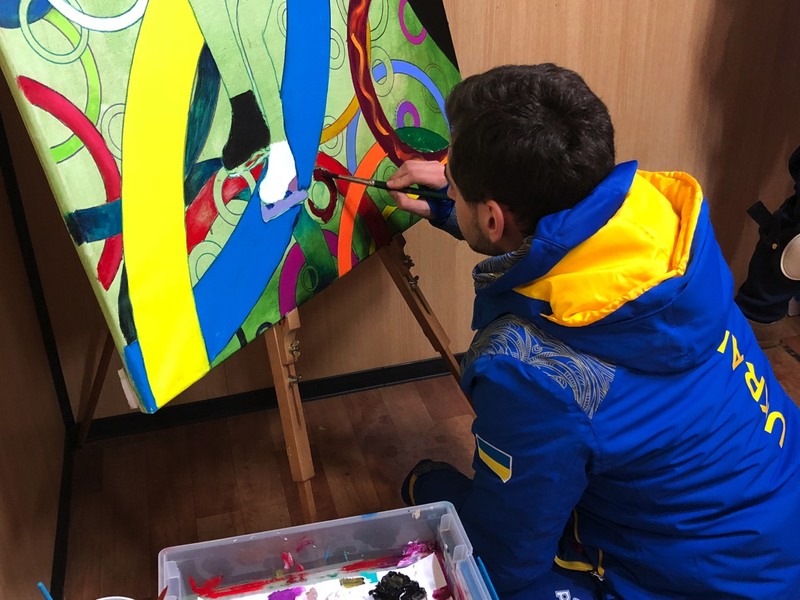 No one signed the paintings and the idea behind that is to show that we are all Olympians and working together to be a part of a bigger picture with promoting art in Olympic values. We kept track of the number and names of all the olympians who took part in this project. 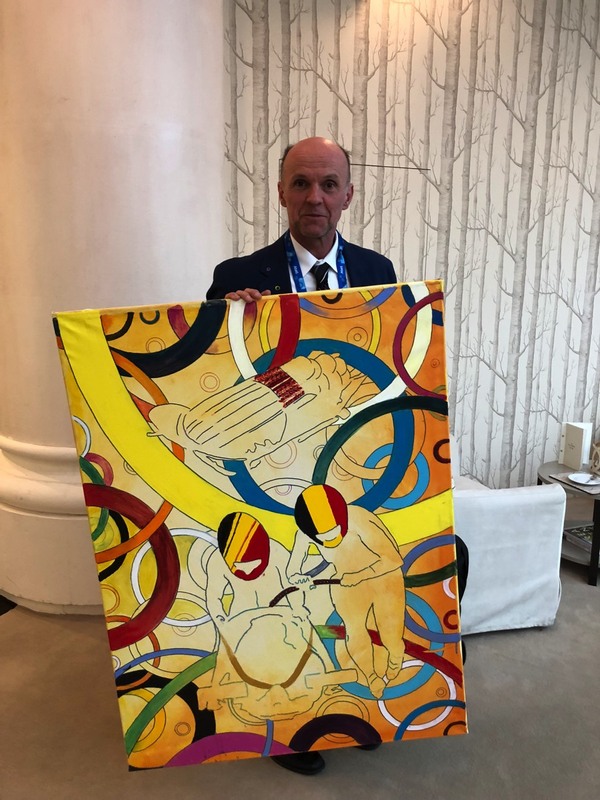 The IOC President Bach met with us during the games to discuss further promoting art in the future and he also spent some time painting on on of the 15 canvases. Over all it was an incredible opportunity to promote art through Olympic Values and I hope I have the opportunity to be a part of this historical event again at another Games.